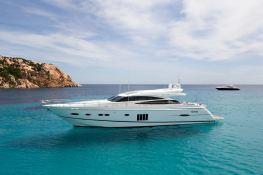 The Princess V78 with its tapered shell, its high-powered engines and it's visible comfort is the ideal motoryacht for those looking for beautiful sensations along the coasts of Sardinia at night time either in Porto Cervo, Lavezzi or Madeleines . 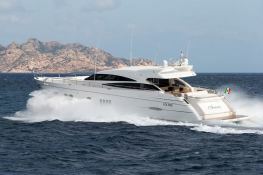 This Princess V 78 was built in 2011 by Princess Yachts. 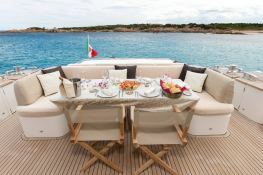 With its 3 crew members, she welcomes up to 8 passengers on board to explore Corsica and Sardinia. 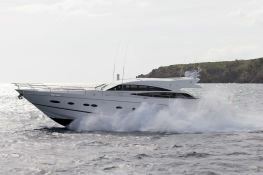 This Princess V 78 can reach a cruising speed of 28 knots thanks to its 2 powerful 1825 hp engines. 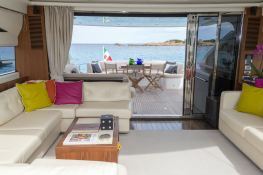 This 78 yacht available for charter in Corsica and Sardinia is fully equipped with air conditioning and also waterski and DVD for leisure. 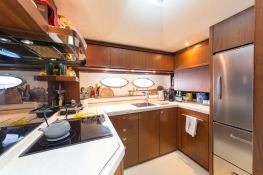 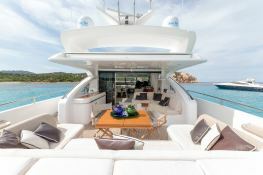 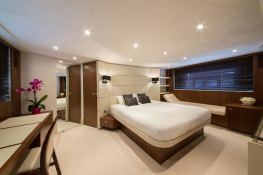 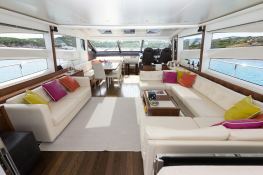 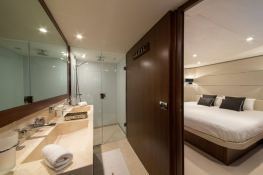 Special offer: this motoryacht is available for yacht charter from July 01 to July 15 with a special discount of 10%.